This is a Tournament Players Association (TPA) event, and is governed by its rules, guidelines, and judgments. 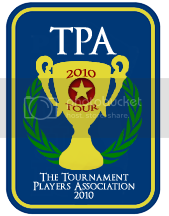 Check back on the TPA scoreboard in the Tournaments--> General Info forum to see how you're doing. Last edited by benga on Mon Mar 07, 2011 7:31 pm, edited 44 times in total. Last edited by benga on Mon Mar 07, 2011 7:28 pm, edited 19 times in total. Good call on dropping the number of games at once. I'm in. Night Strike wrote: Good call on dropping the number of games at once. I'm in.